How many times have you gone home at night with a sore neck because you have been looking down at a casebook or outline all day? Or maybe your wrists are hurting because you tried to hold your book up to read before class. Law students already have enough to deal with on a daily basis, without throwing in a few aches and pains. 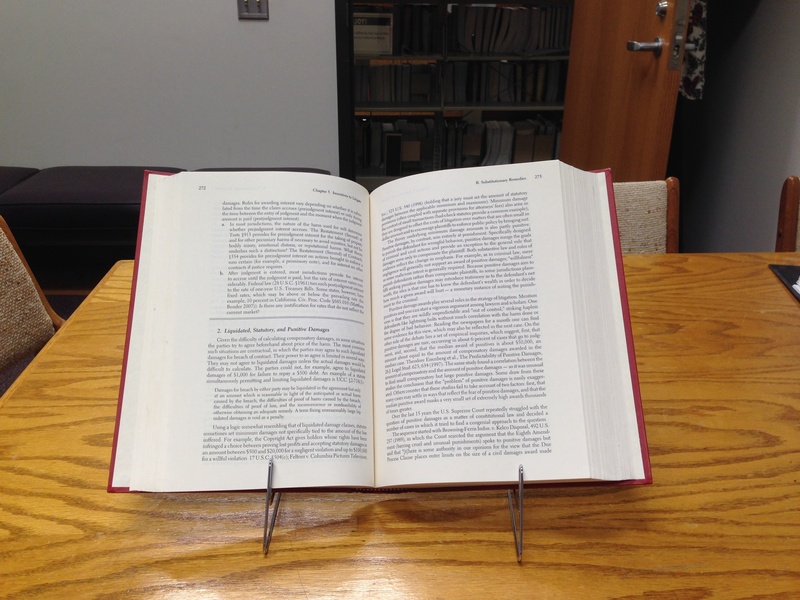 Have no fear though, the Law Library has just the product for you…bookholders. 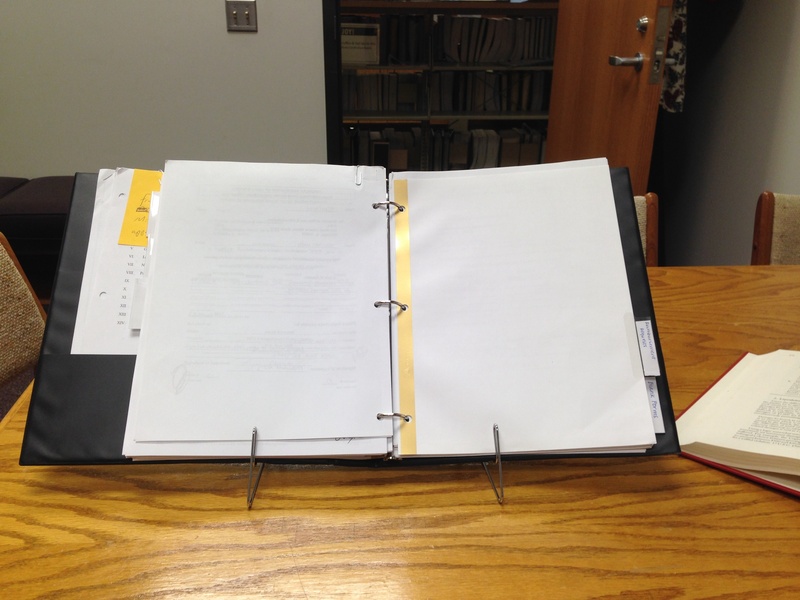 If you are not currently using bookholders when you study, then you are missing out on one of the greatest engineering feats of our generation (slightly exaggerated). Think about it, a device that actually holds a book up for you so you don’t have to hold it up yourself or look down at it on a table. Genus! Use it when reading cases for class. Use it for reading your outline before the big exam. Use it when reading a magazine at lunch. The possibilities are truly endless. And the best part of all, we have 7 at the Circulation Desk that you can checkout. 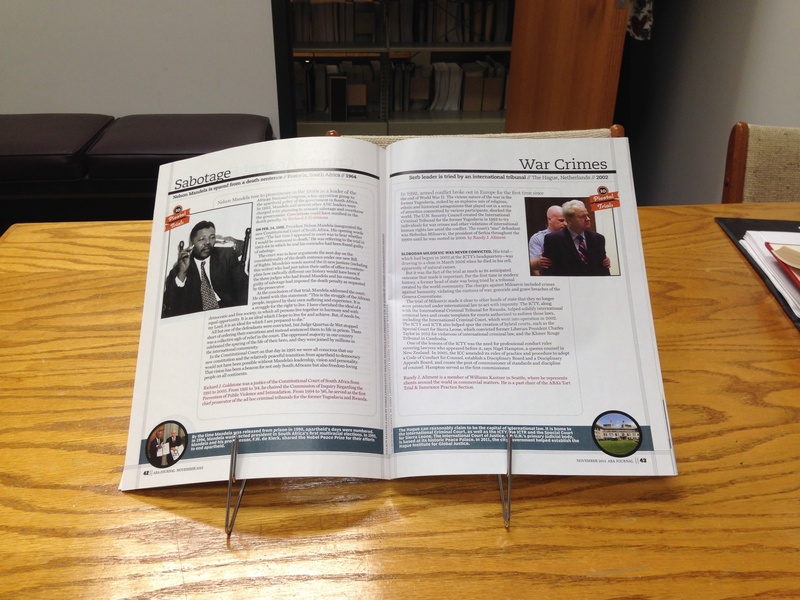 That’s right, you can use one of our bookholders for FREE! So next time you get that pain in your neck, stop by the Circulation Desk and check out a bookholder.